Another big pollution contributor is the “urban slobber,” a phrase coined by Rob Hutsel from the San Diego River Park Foundation, that accumulated from the county’s millions of cars — copper dust from the brakes, oil, gasoline, etc., that would wash straight to the ocean as soon as a rain hit. Here the close connection is apparent between the San Elijo lagoon in the foreground, the coast highway at rush hour, and a famous surf break at Cardiff Reef. 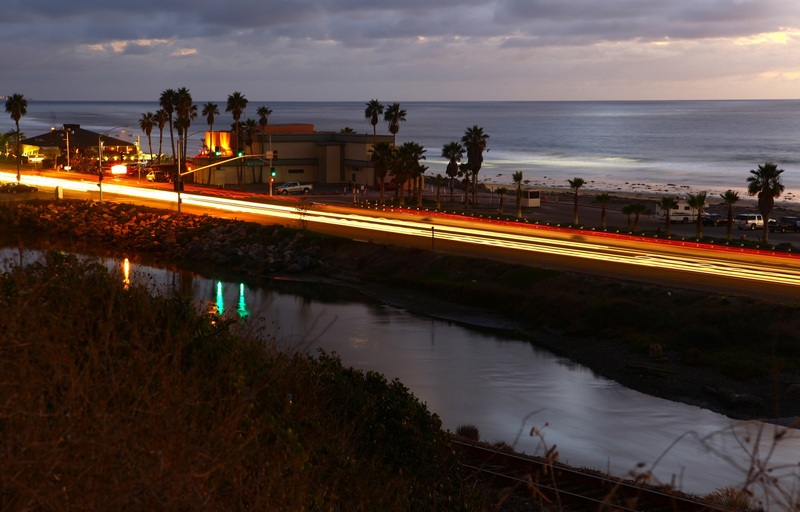 The 101 highway is a California icon, this part of it runs between a popular surf spot, Cardiff Reef, and the San Elijo Lagoon.